ONLINE EXCLUSIVE! 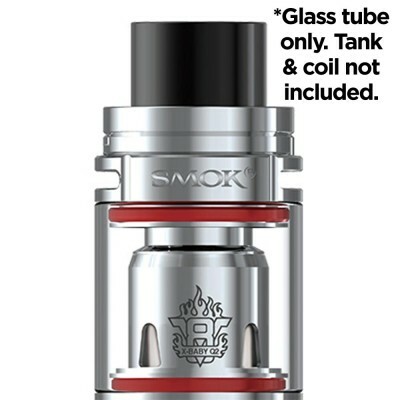 The TFV8 X-Baby is a new and improved version of the original Smok TFV8 Baby Tank, and little brother to the TFV8 Baby Beast. This new version of the TFV8 Baby features top airflow which maintains the high performance we've come to love from this device and eliminates any leaking. The TFV8 Baby was already a pretty great tank, but the improvements on this device certainly make the new version stand out form the crowd. 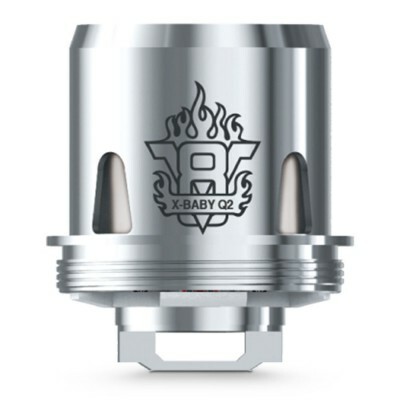 Design features that we loved from the original TFV8 Baby have been refined. Everything on the TFV8 X-Baby has a satisfying click. Everything on the tank feels well made. Smok's R&D never stops. As soon as they release a new tank, they watch and listen carefully for customer feedback and use this information to inform their new devices. The new features are vaper focussed, not empty hype. 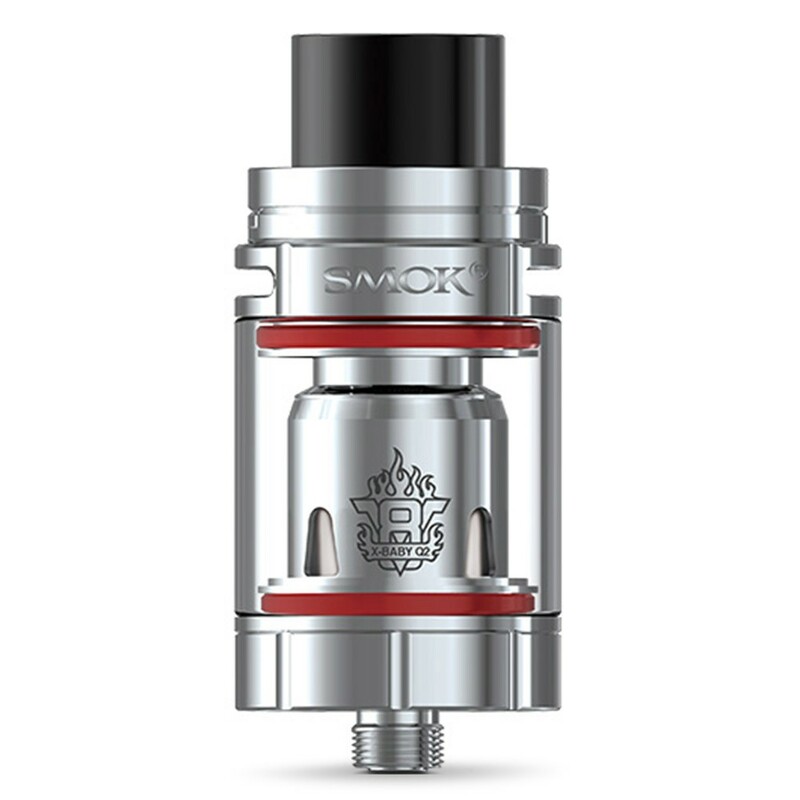 The Smok TFV8 X-Baby is available with an anodized silver finish.